Sacred Money Archetypes Assessment - Minette Riordan, Ph.D.
Are you ready to discover your Sacred Money Archetypes, revealing the most profitable actions you can take to increase your income and secure your financial freedom and future? Troubleshoot the money blind spots that are likely causing an “invisible ceiling” on your income. Surprisingly, this invisible ceiling exists at EVERY income level. Hearing what you need to break free will remove any limits on your financial freedom and inner worth. Learn key areas where you may be giving away your power with money, and identify steps you can take to own your value, with confidence and clarity. Hear how to empower your voice when discussing money in any situation, and calculate the amount this shift could potentially add to your bank account. YES! Minette, I want to take the Sacred Money Archetype Assessment to help me empower my relationship with money. 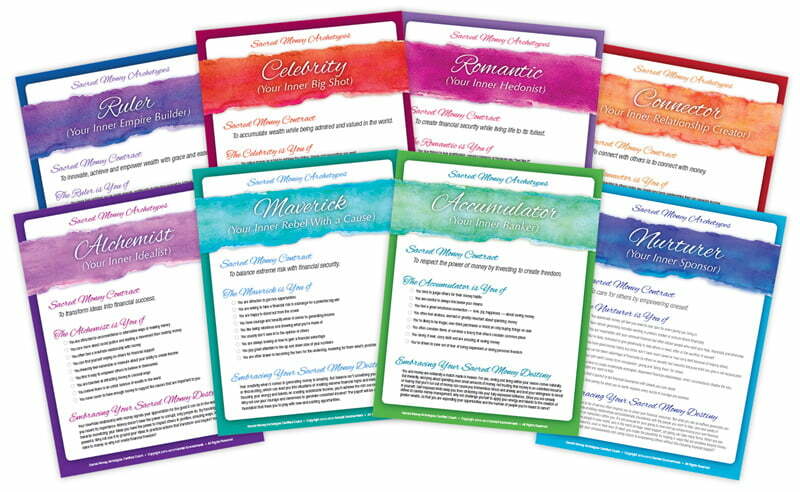 You will receive the FREE Assessment, along with a sample set of the archetype cards so you can start learning more about your strengths and challenges right away! You may be looking at all this information and wondering, now what? I can help, just take a minute to apply for a complimentary personal reading with me, Dr. Minette Riordan. Just click the button below and fill out the short questionnaire. Together we can determine your best course of action for getting on track with your money goals! Leave the session inspired and clear about how to align your financial success with your personal growth. I guarantee you will leave this session knowing one simple next‐best step you can take immediately. YES! Minette, I also want a complimentary PERSONAL SACRED MONEY ARCHETYPE READING (valued at $397) to help me improve my relationship with money NOW.